NEET 2019 IMPORTANT INFORMATION AND DATES AT A GLANCE. 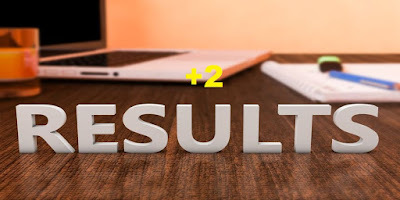 NEET 2019 UG INFORMATION BULLETIN DOWNLOAD. NEET இயற்பியல் (Physics) தொகுதி-2 - 14. மின் காந்த தூண்டல் & மாறுதிசை மின்னோட்டம். NEET இயற்பியல் (Physics) தொகுதி-2 - 17. பருப்பொருள் கதிர் வீச்சின் இரட்டைப் பண்புகள். NEET 2019 - BIOLOGY - CHAPTER 23 REPRODUCTION IN ORGANISMS. NEET 2019 - BIOLOGY - CHAPTER 24 SEXUAL REPRODUCTION IN FLOWERING PLANTS. NEET 2019 - BIOLOGY - CHAPTER 25 HUMAN REPRODUCTION. NEET 2019 - BIOLOGY - CHAPTER 26 REPRODUCTIVE HEALTH. NEET 2019 - BIOLOGY - CHAPTER 27 INHERITANCE AND VARIATION. NEET 2019 - BIOLOGY - CHAPTER 28 MOLECULAR BASIS OF INHERITANCE. NEET 2019 - BIOLOGY - CHAPTER 29 EVOLUTION. NEET 2019 - BIOLOGY - CHAPTER 30 HUMAN HEALTH AND DISEASE. NEET 2019 - BIOLOGY - CHAPTER 31 STRATEGIES FOR ENHANCEMENT IN FOOD PRODUCTION. NEET 2019 - BIOLOGY - CHAPTER 32 MICROBES IN HUMAN WELFARE. NEET 2019 - BIOLOGY - CHAPTER 33 BIOTECHNOLOGY - PRINCIPLES AND PROCESSES. NEET 2019 - BIOLOGY - CHAPTER 34 BIOTECHNOLOGY AND ITS APPLICATIONS. NEET 2019 - BIOLOGY - CHAPTER 35 ORGANISMS AND POPULATIONS. NEET 2019 - BIOLOGY - CHAPTER 36 ECOSYSTEM. NEET 2019 - BIOLOGY - CHAPTER 37 BIODIVERSITY AND CONSERVATION. NEET 2019 - CHEMISTRY - CHAPTER 1 SOME BASIC CONCEPTS OF CHEMISTRY. NEET 2019 - CHEMISTRY - CHAPTER 2 STRUCTURE OF ATOM. NEET 2019 - CHEMISTRY - CHAPTER 3 CLASSIFICATION OF ELEMENTS AND PERIODICITY IN PROPERTIES. NEET 2019 - CHEMISTRY - CHAPTER 4 CHEMICAL BONDING AND MOLECULAR STRUCTURE. NEET 2019 - CHEMISTRY - CHAPTER 5 STATES OF MATTER. NEET 2019 - CHEMISTRY - CHAPTER 6 THERMODYNAMICS. NEET 2019 - CHEMISTRY - CHAPTER 7 EQUILIBRIUM. NEET 2019 - CHEMISTRY - CHAPTER 8 REDOX REACTIONS. NEET 2019 - CHEMISTRY - CHAPTER 9 HYDROGEN. NEET 2019 - CHEMISTRY - CHAPTER 10 THE p -BLOCK ELEMENTS. NEET 2019 - CHEMISTRY - CHAPTER 10 THE s -BLOCK ELEMENTS. NEET 2019 - CHEMISTRY - CHAPTER 11 ORGANIC CHEMISTRY – SOME BASIC PRINCIPLES AND TECHNIQUES. NEET 2019 - CHEMISTRY - CHAPTER 12 HYDROCARBONS. NEET 2019 - CHEMISTRY - CHAPTER 13 ENVIRONMENTAL CHEMISTRY. NEET 2019 - CHEMISTRY - CHAPTER 14 The Solid State. NEET 2019 - CHEMISTRY - CHAPTER 15 Solutions. NEET 2019 - CHEMISTRY - CHAPTER 16 Electrochemistry. NEET 2019 - CHEMISTRY - CHAPTER 17 Chemical Kinetics. NEET 2019 - CHEMISTRY - CHAPTER 18 Surface Chemistry. NEET 2019 - CHEMISTRY - CHAPTER 19 General Principles and Processes of Isolation of Elements. NEET 2019 - CHEMISTRY - CHAPTER 20 The d and f-Block Elements. NEET 2019 - CHEMISTRY - CHAPTER 21 Co-ordination Chemistry. NEET 2019 - CHEMISTRY - CHAPTER 22 Haloalkanes and Haloarenes. NEET 2019 - CHEMISTRY - CHAPTER 23 Alcohols, Phenols and Ethers. NEET 2019 - CHEMISTRY - CHAPTER 24 Aldehydes, Ketones and Carboxylic Acids. NEET 2019 - CHEMISTRY - CHAPTER 25 Amines. NEET 2019 - CHEMISTRY - CHAPTER 26 Bio mollecules. NEET 2019 - CHEMISTRY - CHAPTER 27 Polymers. NEET 2019 - CHEMISTRY - CHAPTER 28 Chemistry in Action. NEET 2019 - PHYSICS - CHAPTER 1 UNITS AND MEASUREMENT. NEET 2019 - PHYSICS - CHAPTER 2 MOTION IN A STRAIGHT LINE. NEET 2019 - PHYSICS - CHAPTER 3 MOTION IN A PLANE. NEET 2019 - PHYSICS - CHAPTER 4 LAWS OF MOTION. NEET 2019 - PHYSICS - CHAPTER 5 WORK, ENERGY AND POWER. NEET 2019 - PHYSICS - CHAPTER 6 SYSTEMS OF PARTICLES AND ROTATIONAL MOTION. NEET 2019 - PHYSICS - CHAPTER 7 GRAVITATION. NEET 2019 - PHYSICS - CHAPTER 8 MECHANICAL PROPERTIES OF SOLIDS. NEET 2019 - PHYSICS - CHAPTER 9 MECHANICAL PROPERTIES OF FLUIDS. NEET 2019 - PHYSICS - CHAPTER 10 THERMAL PROPERTIES OF MATTER. NEET 2019 - PHYSICS - CHAPTER 11 KINETIC THEORY. NEET 2019 - PHYSICS - CHAPTER 12 THERMODYNAMICS. NEET 2019 - PHYSICS - CHAPTER 13 OSCILLATIONS. NEET 2019 - PHYSICS - CHAPTER 14 WAVES. NEET 2019 - PHYSICS - CHAPTER 15 ELECTROSTATICS. NEET 2019 - PHYSICS - CHAPTER 16 CURRENT ELECTRICITY. NEET 2019 - PHYSICS - CHAPTER 17 MOVING CHARGES AND MAGNETISM. NEET 2019 - PHYSICS - CHAPTER 18 MAGNETISM AND MATTER. NEET 2019 - PHYSICS - CHAPTER 19 ELECTROMAGNETIC INDUCTION. NEET 2019 - PHYSICS - CHAPTER 20 ALTERNATING CURRENT. NEET 2019 - PHYSICS - CHAPTER 20 ELECTROMAGNETIC WAVES. NEET 2019 - PHYSICS - CHAPTER 21 RAY OPTICS AND OPTICAL INSTRUMENTS. NEET 2019 - PHYSICS - CHAPTER 22 WAVE OPTICS. NEET 2019 - PHYSICS - CHAPTER 23 DUAL NATURE OF RADIATION AND MATTER. NEET 2019 - PHYSICS - CHAPTER 24 ATOMS. NEET 2017 - PHYSICS - CHAPTER 25 SEMICONDUCTOR ELECTRONICS. NEET 2017 - PHYSICS - CHAPTER 26 COMMUNICATION SYSTEMS.